It’s officially Friday September 22nd, 2017 and that means Haley Reinhart’s brand new album What’s That Sound? has dropped! The 14 track 1960s inspired record which consists of eleven covers and three originals, sounds absolutely incredible. The production is something anyone should be able to appreciate. 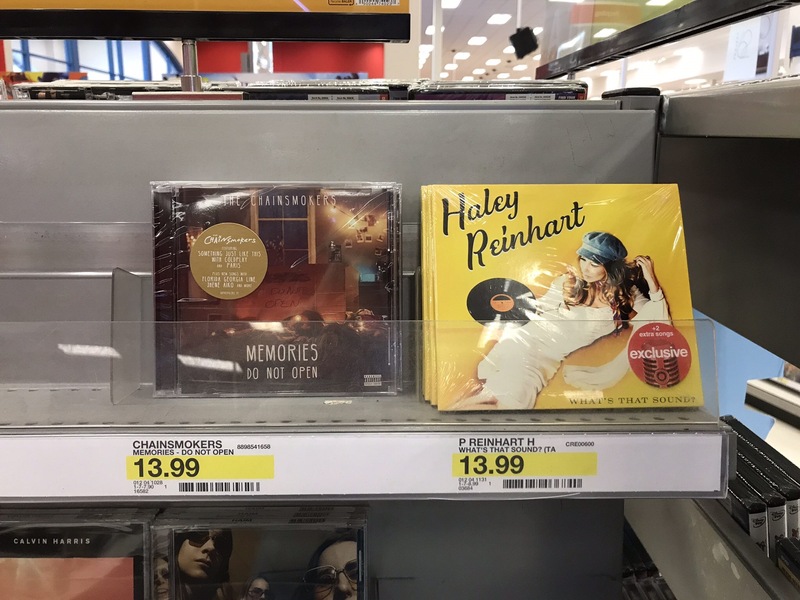 You can truly hear just how much Haley has grown as a recording artist, when compared to her last two albums. Within the first few hours of it’s release, What’s That Sound? has already reached #6 on the iTunes Pop Album Charts! *Be sure to check out the Target exclusive version of What’s That Sound? which includes two bonus tracks that you won’t be able to get anywhere else! You can purchase the Target exclusive CD online, or in stores. Well, what are you waiting for? Click here to get the album if you haven’t already! Haley Reinhart stayed busy last weekend in NOLA, after performing at three different events between Thursday and Sunday. Although two of the shows were of short notice, some lucky people of New Orleans got to experience a wonderful weekend filled with great music. Haley will be back out on tour in Europe starting May 24th, 2017. Haley Reinhart closed out an epic three hour night full of live music performed by a variety of talented artists at the Hotel Cafe’s monthly “Hootenanny”. Hootenanny takes place at Hotel Cafe’s second stage on the last Monday of every month. Different singers and musicians are invited to sing three songs each with a little help from the house band with no rehearsal whatsoever. Many of the singers were just meeting the band for the very first time just as they were taking the stage to perform their music. This last Monday night featured singers: Kristen Toedtman, Zak Schaeffer, Melissa Polinar, Casey Abrams, Josiah Leming, Danielle Deandrea, Bruce Foreman, Suzanne Santo, and last but not least, Haley Reinhart. Starting at approximately 8:00pm and ending at 11:00pm, the $5.00 cover is money well spent for a fun night full of great entertainment and music, which couldn’t be done without the awesome house band which includes: Drew Taubenfeld, Rich Hitman, Mark Stepro, Will Herrington, Ty Bailie, Philip Krohnengold, Erik Kertes, Patrick Taylor, Rob Humphreyes. During the show Haley talked about her upcoming third studio album, and how the 60’s and Quentin Tarantino are some of the inspiration behind her new music. She stated that the new album will be out this summer. Stay tuned! Check out hotelcafe.com for more about events like this.